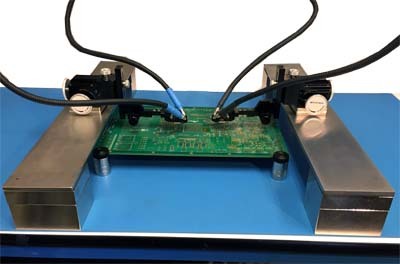 The PS800 comprises the components to perform high accuracy microwave and package-level probing on a very large PCB at a very competitive price. 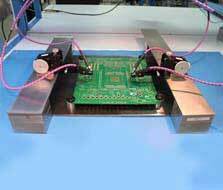 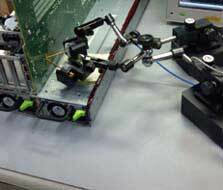 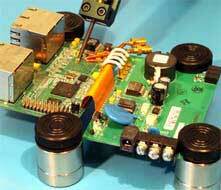 This system can accommodate PCB sizes up to 20” in width with 24" Bridge plate and wider PCB with longer Bridge plate. 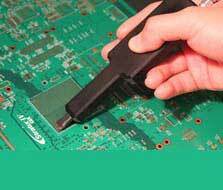 PacketMicro is offering an innovative, flexible and low-cost solution for engineers to probe printed circuit boards (PCB) large and small. 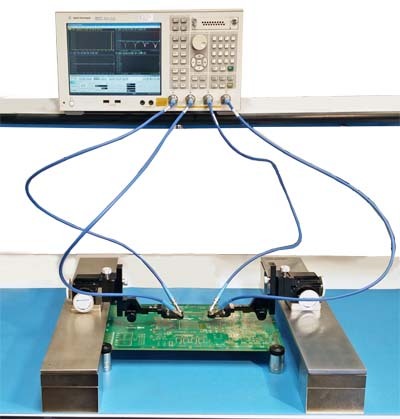 By placing any of PacketMicro’s positioners (with magnet at the bottom) on top of the bridge, an engineer can reach any point of a PCB to get a firm and accurate measurement.